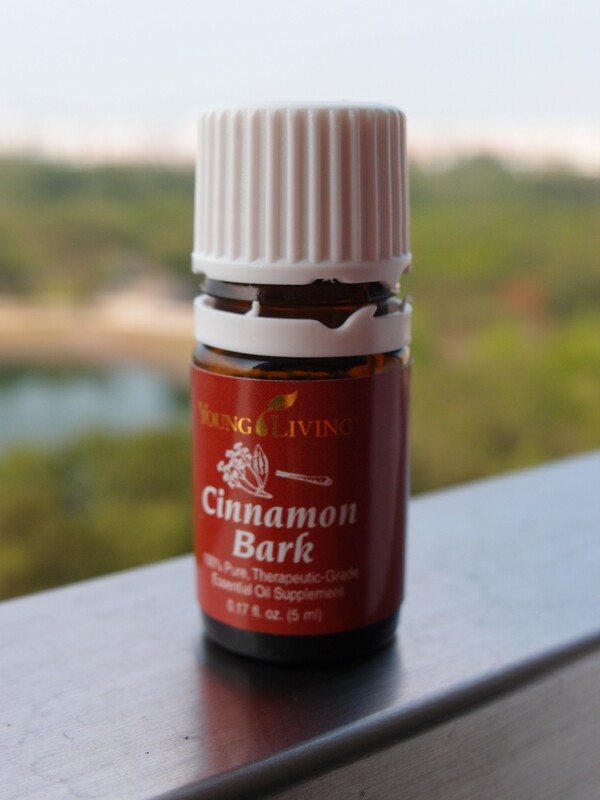 No one is a stranger to cinnamon bark, even if you don’t like its smell or taste. Almost all ethnic groups in Asia use it in cooking – Chinese, Malay and Indian. Think curries and stews. It is used in Western cooking too. Think cinnamon rolls! It has also been used for ages as medicine by the Chinese, Indians and Europeans. Cinnamon that is used for cooking and as medicine is the bark of the cinnamon tree found in Sri Lanka and Madagascar. The unique and distinctly sweet fragrance makes it delightful in soups, stews, cakes, teas and even candies and chewing gums. It is used so widely and for so long that its fragrance is familiar all over the world. No surprise that it is in the Christmas Spirit blend as it brings back memories of wassail, home-cooked food and fond memories of Christmas! I love it when a food item is both palatable and beneficial. Cinnamon is one such item! Its medical properties have been recorded in Dioscorides’ De Materia Medica (AD 78), Europe’s first authoritative guide to medicines, which became the standard reference work for herbal treatments for over 1,700 years. It has been researched, tested and used for these medical properties: anti-inflammatory, antibacterial, antiviral, antifungal, anticoagulant, circulatory stimulant, stomach protectant (ulcers) and antiparasitic, for cardiovascular disease, infectious diseases, viral infections, digestive complaints, ulcers and warts. It is part of the formula God gave to Moses for an anointing oil to consecrate the tabernacle and its most holy items for worship, and Aaron and his sons who were serving as priests. Exodus 30:22-30. Because of its powerful property, it is one of the ingredients of the Thieves blend which I had written about here. Thieves blend, if you recall or have heard, was created by Young Living based on the true story of a band of 15th-century thieves who rubbed herbs and spices on themselves to avoid contracting the plague while they robbed the bodies of the dead and dying. Cinnamon Bark oil can be used on its own, topically, diffused or as a dietary supplement. Talking about supplement, while at the Winter Harvest 2015 at Young Living’s Highland Flats Farm in Idaho, USA (more about that unforgettable trip in another post), I had the privilege of having Young Living’s Einkon pancakes for breakfast everyday! They are delicious, not at all gritty or grainy as I had imagined healthy wheaty food to be. Not to mentioned, the amazing thing they did to our digestion, which I won’t elaborate here. Another post, it shall be! I had the pancakes for 5 days in a row and I did not get sick of them! One of the mornings, the pancakes were spiced up, both literally and figuratively, with Cinnamon Bark and Orange essential oils! The pancakes were given another dimension and it felt good knowing that the essential oils were doing great stuff in my body too. That was one of my breakfasts at the farm. The picture doesn’t do justice to the delicious pancake but at that point, I only wanted to eat it quickly! Took this picture only because my children asked me to. So snap! Chomp! After Winter Harvest, I bought a box of the Young Living Einkorn Pancake and Waffle Mix home. 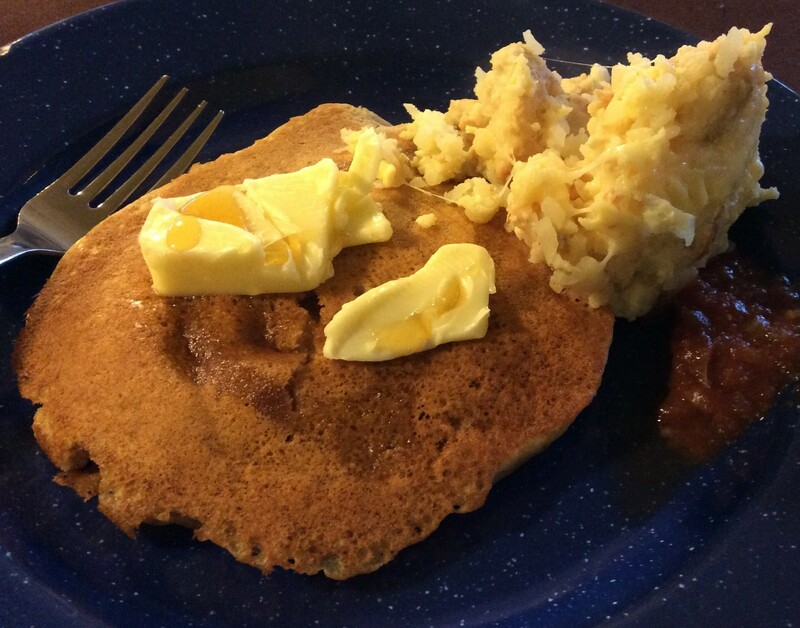 The family loves the einkorn pancakes, especially with the Cinnamon Bark and Orange essential oils added. Read more about the Einkorn wheat over at Gary Young’s blog. It is non-hybridized wheat which has more nutrition and none of the harmful effects of the hybridized wheat which we get our usual wheat products from. I look forward to more Einkorn wheat products from Young Living! I digressed. Back to the Cinnamon Bark essential oil. Besides its medicinal properties, interestingly it was the oil of wealth from the Orient and regarded by the emperors of China and India to have great value. In fact, their riches were measured by the amount of cinnamon oil they possessed. The first character of its Chinese name, 桂皮， sounds like 贵, which means valuable and precious. So even today, the Chinese use cinnamon in cooking special dishes on festive occasions for its auspicious connotations besides its flavour. For example, for Chinese New Year, cinnamon powder is added to yusheng, a special salad, to signify wishes of good fortune. Is it a coincidence that it is in the Abundance blend? The world does seem to have originated from a small location. Copyright © 2019 Life by the Waterside. All Rights Reserved. The Tonic Theme by bavotasan.com.